1. 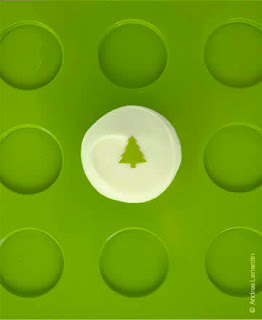 Eat a cupcake and help plant a tree. Head on over to Sprinkles Cupcakes and purchase a special Earth Day Vanilla cupcake from April 18-22 and 100% of the proceeds will benefit Chicago Gateway Green. 2. Enjoy a free brewed coffee or tea at Starbucks on Earth Day (April 22) if you bring in a reusable mug. Don't worry if you don't own a reusable mug because Starbucks is also selling them for 20% off. Or if you don't want to buy a new cup stick around and drink your coffee in a "for-here" cup and Starbucks will pick up the tab. 3. 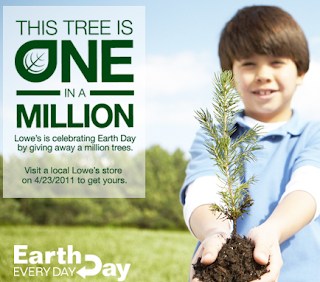 Lowe's is celebrating Earth Day on April 23 by teaming up with Keep America Beautiful and giving away a million trees. Find a store near you and get planting.